Summary: Reprising the theme of “victory”, the Taliban announce the commencement of their Spring Offensive. The obligation for jihad is restated, as is the need for avoiding civilian casualties. There is no mention of peace talks or concessions of any sort. A key objective is to gain the defection of Afghan military personnel. On 12 April the Taliban announced the commencement of their Spring offensive for 2019. The operation is called “Al-Fath”, meaning victory or success. In a 771 word document posted on the Taliban website praises their eighteen-year struggle which they present in the tradition of the fight against the British Empire and the Soviet Union. The statement emphasises that the “jihadi obligation” has not finished: large areas of the country “have been freed from the enemy” but foreign forces still exert much military and political control. The Afghan government’s own “Spring Offensive” – “Khalid military operations”, which was announced a couple of weeks prior to the Taliban’s announcement is referenced. There are some interesting points here. The title of this year’s operation is a repeat from 2010: according to my translations, in 2009 the operations were titled “Nasrat” (Victory) and in 2010 it was “Al-Faath” (Success). But it was clearly not going to be a successful long-term media/propaganda gambit to call every year’s operation some version of “Mission Accomplished”. Subsequent annual operations were named after battles from early Islamic history or, more recently, after Taliban leaders. It is certainly possible that the Taliban now genuinely believe that some form of victory is achievable this year. Might this year see attempts at larger, bolder operations to “clinch the deal”, with the inherent risks of over-reach? It begs the question of where to go for the title of the 2020 operations. There are no references to peace talks and no hint of a concession or gesture. But peace talks between governments and insurgents are common periods to see an upsurge in fighting as each side strives to gain additional bargaining chips. The need to avoid civilian casualties is an annual theme – the Taliban are clearly stung by, for example, UN attributions of civilian deaths to the Taliban. The stressed need for obedience and “sincerity and pure intentions” might suggest fear of Taliban foot soldiers fraternising after last year’s brief ceasefire. There are two expressions which caught my eye. “Islamic system” in the context of what is to be established after the occupation has been removed. This expression occurs five times in this statement. It has occurred only once in only four or five previous statements of the eleven that I have analysed. This might be an effort to tie in with their concept of negotiations with the US and the Afghan government. Conversely, I may be over-analysing. The second expression was “cleansed” or “cleansing”, as in “cleansing our Muslim homeland from invasion and corruption.” It occurs three times here. It occurred three times in the 2017 statement in the same sort of context. It occurs only once in three other statements. I don’t know if this means anything. Finally, the statement explicitly notes the importance of encouraging defections from within the ranks of the Afghan army, police and militias, which the statement describes as “peeling away”. We should expect a noticeable uptick in the tempo of violence as a result of the announcement: likely there will be a “spectacular” or two – suicide-bomb driven coordinated mass casualty events. The Taliban may attempt to shy away from civilian casualties – perhaps focusing on military and political targets – and they have had some recent success in inflicting large casualties against the army and the police. A Rand study “How insurgencies end” some years back suggested that a key indicator of “winning” or “losing” was an increase in the rate of defections from one side to the other. We shall see how the Taliban fare in their efforts to tip the balance, but they, like the Afghan government and people are likely very aware that a new and probably volatile period is being reached. 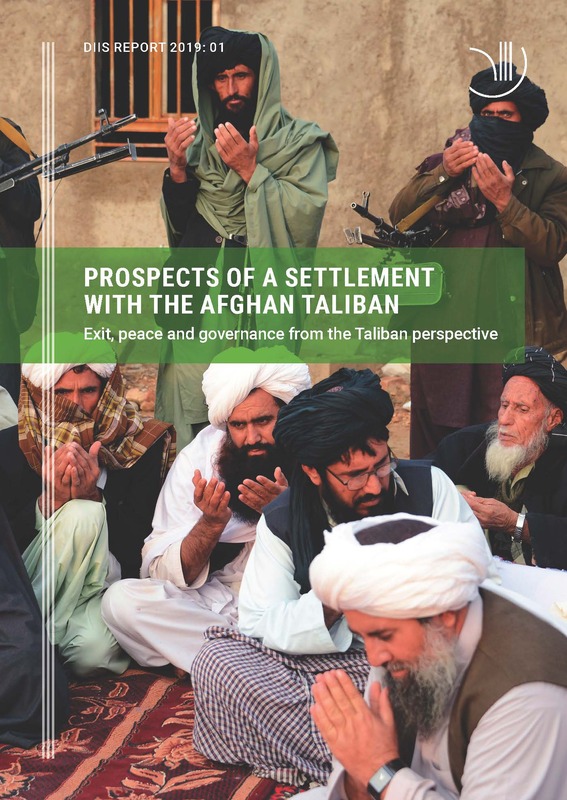 Summary: Special Inspector General for Afghanistan Reconstruction gives powerful and credible warnings about Afghanistan’s future – corruption, economic, women’s rights and the risks of integrating thousands of Taliban insurgents if a peace settlement is reached. John Sopko and the Special Inspector General for Afghanistan Reconstruction have been speaking truth to power about the failings of the US and international community’s use of resources – financial, military, political, economic – in Afghanistan for a long time. They routinely produce hard hitting critique – based on extensive fieldwork and rigorous collection and analysis of data – that undermine US and Afghan government assertions that all is going well. Frankly, in the era of Trump, I am slightly surprised that they are still being allowed to do this. The new SIGAR report is no exception. It contains powerful and credible warnings about the near future. With or without a peace settlement, Afghanistan will likely continue to grapple with multiple violent-extremist organizations, who threaten Afghanistan and the international community. The Afghan National Defense and Security Forces (ANDSF) are constrained by capability challenges and depend on donor support of $4billion to $5billion per year to fund their sustainment, equipment, infrastructure, and training costs. The United States has spent more than $1billion since 2002 to advance the status of women in Afghanistan. Despite this investment, gains by women in Afghanistan remain fragile even with a constitution that nominally protects women’s rights. The illicit drug trade funds the Taliban insurgency as well as corrupt members of the Afghan government, military, and police, and also employs nearly 600,000 Afghans. A truce or peace settlement between the Taliban and the Afghan government may not necessarily lead to a decline in the illicit narcotics trade. The social, economic, and political reintegration of tens of thousands of former fighters into Afghan society will be critical for the country to achieve lasting peace and stability. Failure to successfully reintegrate an estimated 60,000 Taliban fighters and their families, and other illegal armed groups, could undermine the successful implementation of any peace agreement. Ex-combatants will face the challenges of a weak economy with few livelihood options, political uncertainty, ongoing insecurity, and distrust among a populace traumatized by war. Summary. At a DIIS conference on prospects for a settlement with the Taliban there were many questions but few answers. Have the Taliban changed? Does a US/Taliban agreement to withdraw US troops bring stability or instability? With apologies for a delay in posting this up, I attended a Danish Institute for International Studies (DIIS) seminar launching a DIIS paper “Prospects of a settlement with the Afghan Taliban” based on a new DIIS report including recent DIIS interviews with Taliban leaders and foot soldiers. Here are my notes and a few concluding thoughts of my own. What might be the timeline for a US withdrawal – should we assume the US is no longer that interested in Afghanistan? Many questions – how many troops would stay, will the Taliban talk to an Afg govt they see as illegitimate? What do we know about the Taliban’s views on power-sharing, democracy and women’s rights? What will be the role of the IC – how to support a peace process, what conflict resolution mechanisms to use? Felix Kuehn – Researcher and Taliban expert, Has the Taliban movement changed? With regard to the Taliban negotiations with Khalilzad, the offers to oppose Al Qaeda and Islamic State presence in Afghanistan is not really a big change. But this is the first time the US has reached out and sat down with the Taliban – previously it was just a list of US demands. The international community has changed but not really the Taliban. Difficult to understand the Taliban – powerpoint wire diagrams do not work. Taliban hierarchies are mixed, with powerful sub-structures. This complex organisation does not work “top down”. The Taliban have never been one single group. The Mullah Omar and origins of the Taliban is “myth” – it is more complex than that – the Taliban emerged from pre-existing networks which had been there for years. The Kandahar 1994 emergence of the Taliban was the coming together of several groups simultaneously to take Kandahar. Even in 1994 there were many different opinions in the Taliban. We should be careful of assuming that the Taliban have changed but there may be a window of opportunity – the June 2018 ceasefire doesn’t show Taliban internal coherence, it shows that there is war-weariness within the rank and file. There is a growing threat from Islamic State – many IS are former Taliban fighters who have become dissatisfied with the Taliban leadership. Taliban and Mullah Zaeef – everyone is talking to everyone, but the issue is whether to publicise this fact. Insurance policy of Afghans – have one brother in the Taliban, one in the local police – this is a common occurrence. They can end up fighting each other. Taliban recognise that they can no longer operate in the way they have done before. Now seeing Taliban “foreign policy” reachout – talks with Moscow and Tehran. Possibly positive noises about the Hazaras? The Taliban have evolved under Mullah Mansour’s leadership – recognising the need to reach out to other ethnic groups. But fringe Taliban elements prefer war. But there are immense divisions within the Afghan population – many government factions do not recognise the Taliban. Many questions – what would future government look like? How will Afghanistan modernise (e.g. with women’s issues)? How does the Taliban transform into a political movement? Broader issues – when will the population notice a change in their daily lives? What are the broader and long-term consequences? Next elections – impact on Afghan security is too soon to tell. But Felix was engaging with Jamiat leaders during the last election and there was nearly a government collapse -Jamiat were preparing for fighting in Kabul. How genuine are the Taliban’s intentions? As befitting a situation such as the Taliban’s talks with the US – where little detail is known but there is much rumour, speculation and anticipation – we got a lot of questions but little conclusion. Discussion seemed to throw up the idea that the Taliban had not changed that much but they had changed enough to recognise that they needed to change a bit. The list of elephants in the room was long but perhaps best summarised by one question – if an impatient Trump and a victory-flushed Taliban rush to embrace a US withdrawal deal (presumably with “mission accomplished” flags on both sides), where does that leave the rest of the country and the region? The risk of a civil war in a volatile power vacuum looks plausible. Other concerns are the mechanics of disarming the Taliban – the Hezb-e Islami example seems to suggest fighters and commanders demand high positions, status and income in exchange for handing in their weapons. This risks blossoming an already extremely expensive Afghan army – that the US are almost entirely paying for – and probably undermining a whole range of military, staff and training reforms. This at a time when the government (and US) will presumably be looking to massively downsize the army. This risks thousands of well trained, heavily armed and unemployed fighters spilling out into society. Many factions and political groups (think former Northern Alliance) are opposed to the Taliban being allowed back into the social and political fold, after the violence they have inflicted on Afghan society. Finally, is there any evidence that the Taliban think about governance – how it might work, what their responsibilities might need to be? I can’t see much. Even now, a cursory glance at their English-language Twitter feed show breathless lists of stuff they have blown up and people they have killed. Little in the way of short, medium or long-term political discussion, disputes they have resolved or local development initiatives they have put in place. Felix Kuehn knows much more than most. He says the Taliban haven’t changed that much. Summary: A US-Taliban peace agreement and a US departure, in the absence of a wider Afghan discussion, may actually increase the risk of civil war. The US government has been engaged with elements of the Taliban leadership for many years in “talks about talks”, with seemingly little to show for it. The current US administration appears frustrated and erratic with regard to its policy on Afghanistan. The approval to send 4,000 more troops was m ade in 2017. At the end of 2018, President Trump spontaneously threatened to pull out as many as half of the total number (from approximately 14,000 down to 7,000). This could be undermining what looks to be a delicately balanced peace process. The Taliban refuse to engage directly with the Afghan government, choosing only to talk to the United States and demanding the complete withdrawal of US forces before they will talk about anything else. The United States and the Taliban appear to be drawing closer to a deal in which the US pulls out its forces in return to Taliban commitments to oppose an Al Qaeda return to Afghanistan and fight the Islamic State presence in the country. This is currently a highly public but small segment of the overall peace process that will need to engage with many factions of society. It is unclear how the Taliban envisage their future role in society and government – and how they are likely to be seen by the population. A wider dialogue and reconciliation between the Taliban on one hand and the Afghan government and the Afghan people on the other will pose a much greater challenge. “…two key sticking points were not resolved during the talks, which did not include representatives of Afghanistan’s legally elected government. These include direct talks with the Afghan government and the Taliban agreeing to a ceasefire. Khalilzad has been leading a months-long diplomatic push to convince the Taliban to negotiate with the Afghan government, but the militants have steadfastly refused, dismissing authorities in Kabul as ‘puppets’. On Monday, Ghani assured Afghans that no deals would be made without Kabul’s awareness and participation in negotiations. ‘I call on the Taliban to…show their Afghan will, and accept Afghans’ demand for peace, and enter serious talks with the Afghan government,’ said Ghani. A US-Taliban peace agreement and a US departure, in the absence of a wider Afghan discussion, may actually increase the risk of civil war. Summary: Donald Trump may have announced a large downsizing of US troops in Afghanistan. The fact that we do not know what he may intend causes great uncertainty, which is damaging in itself. A spontaneous withdrawal would be the worst kind of strategic decision, potentially impacting peace talks with the Taliban (who will be emboldened) and relationships of trust with Afghanistan and US allies. “Mission Accomplished” declarations often end badly. A deterioration of the conflict in 2019 is a real possibility. Over 20 and 21 December US government officials began announcing that President Donald Trump had authorised planning for a rapid and large-scale withdrawal of thousands of US troops in Afghanistan. This caused concern and speculation in Afghanistan, the US and worldwide over the precipitate nature of the announcement. The US has around 14,000 troops inside Afghanistan, conducting a range of missions in support of the Afghan government and its armed forces: training, advice, air support, intelligence gathering. They are rarely involved in ground combat operations themselves unless something has gone wrong or they are after a specific high value target. The over-arching impression is utter uncertainty about what is happening and what might actually happen in the end. Is this an official policy announcement or not? Were allies and the Afghan government consulted? Was the Pentagon consulted? Trump’s predilection for spontaneous outbursts and statements, usually via social media, is characterised by reversals of mind, changes of direction or simply nothing happening at all. His foreign policy decisions often appear merely as supporting props to his multiple domestic political and personal crises. Perhaps scrambling generals, experts, officials and his own political party can pull Trump back from the ledge. But the uncertainty and speculation triggered by this flurry of leaks, unofficial comments, resignations and announcements is damage enough. Coming while peace talks with the Taliban were taking place, the Taliban will certainly have taken note and be emboldened by such an incoherent demonstration of anger, weakness and frustration from their superpower adversary. Trump’s frustration at the lack of progress in the 17-year bloody and expensive engagement in Afghanistan is understandable – as it was for Presidents Obama and Bush. But clear, simple and quick solutions to a complex guerrilla insurgency halfway around the world are demonstrably few and far between. Impatiently spinning the tiller and lurching to one side is rarely an advisable move, particularly when it seems unlikely that Trump has troubled to learn much about the region and the issues, or coherently consult with advisors and experts, of which he has an abundance. Given that all we have to go on thus far is a possible announcement of possible action, it is difficult to judge the range of impacts. How many troops are leaving? When? What type of troops will be leaving? What type of capability will remain? How much US diplomatic and financial support will remain? The international military forces downsized from 140,000 to around 12,000 over 2011 to 2014. Under a different (read: any other) US Presidency, downsizing by 6,000 troops could well be achievable if managed in a coordinated and planned manner, minimising uncertainty and ensuring the buy-in of the Afghan government, neighbouring countries (read: Pakistan) and the international military allies deployed. The United Kingdom has 650 troops in-country and this number is to double to 1,100 in 2019. Strategic incoherence. Incoherence in US military and diplomatic strategic planning heightened by the loss of the Secretary of Defense. How to cobble together a new diplomatic, economic and military plan for Afghanistan? Western disengagement? The US is the lead coalition partner for the international community in Afghanistan. Other countries may follow their example, reducing troops, advice, financial and other forms of support. Uncertainty in the country and the neighbouring region – impact on business, investment, people migration and asylum seekers? ANA losses. A struggling Afghan army will struggle further – 28,000 dead since 2015. What and where might the breaking point be? Peace talks and an emboldened Taliban – what incentive do the Taliban have to talk to anyone when they may now believe, rightly or wrongly, that they can wait out the US? Wobbly government, conspiring warlords – part of the uncertainty. Warlords, religious and political figures may see this as a sign of international disengagement and begin again to make their own political and military arrangements, looking for other less-reputable backers and support. Dostum has frequently stated that he should have his own army and take the fight to the Taliban. We might see added instability for a central government not known for its resilience. Meddling neighbours into the strategic power vacuum? – The usual suspects: Pakistan, Iran, India, Russia, central Asia, China. Summary: Thomas Johnson’s overview of the way in which the Taliban communicate to advance their cause is an excellent and essential reference work. Johnson explores in depth the Taliban’s exploitation of diverse media, both traditional and modern. Poetry, letters, social media and radio, amongst others are employed to play intelligently to a range of local, national and international audiences. I read the book early in the year (I scooped it up via Amazon along with Theo Farrell’s “Unwinnable” and Steve Coll’s “Directorate S”, which gives a clue to the importance of the subject in my small universe) and have been using it professionally since then. Thomas Johnson has been researching in Afghanistan since the mid-1980s. He brought this expertise into play in helping to formulate the early US propaganda messages from 2001 and conducted extensive field research in-country from 2004 – 2011. Johnson’s work is an in-depth review of the way in which the Taliban use narrative through increasingly varied media to explain and advance their cause. He also examines and contrasts the progress of the propaganda war from US-led Coalition and Taliban perspectives. He judges that the international community always struggled to understand the Taliban and scrambled to develop a coherent propaganda response to the themes and stories that the Taliban employed and that naturally resonated with the Taliban’s core target audience, the Pushtuns on both sides of the Afghan/Pakistan border. The Taliban recognise that “Wars today cannot be won without media”. The narratives they use contain strong echoes of their values and beliefs – through their letters, statements and poems, there are coherent rhetorical devices and metaphor. The use of repetition is important – narratives and stories are continually returned to on the basis that they are more effective that way. Taliban information operations exploit culture (for example Pushtunwali, the Pushtun tribal customs) and history (success in repelling invaders). Johnson asserts that Taliban information strategies are “virtually impossible” for the West to counter because the West does not have the sensitivity to the poetic nature of dialects, lacks linguistic skills and does not understand what resonates with the population. Johnson’s individual chapters break down into broad and deep coverage of different media types: magazines, circulars and newsletters (chapter 4), night letters (chapter 5), internet, video, radio and graffiti (chapter 6), poetry and chants (chapter 7), the Layeha, or code of conduct (chapter 8). Interestingly, Johnson convincingly refutes the notion of the Taliban as backward and anti-modernity, by highlighting the Taliban as “pioneers” in the use of Facebook and Twitter, where the Afghan government was largely absent on this new electronic media battlefield. Johnson offers an insightful “compare and contrast” discussion, looking at the performance of both Taliban and US propaganda campaigns since 2001. He argues that the international community had problems defining the parameters of the conflict from the word go and struggled to put together an information operations campaign. Crude early propaganda leaflets were toxic to the local population who knew the dangers of being seen handling one. Early images of the 9/11 attack in the US were simply not understood by the population. The 2003 attack on Iraq took resources away from the media effort. 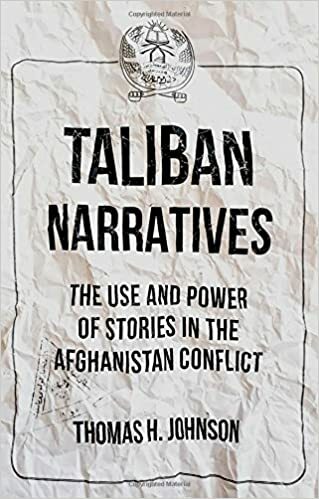 By 2007 a revamp of the “master narrative” tried to emphasise “in it for the long haul”, the comprehensive approach and the destruction and criminality linked to the Taliban. This narrative failed to resonate. Stalemate is a victory for most insurgencies. For the Taliban’s part, they need to remain credibly in the field and at least be tolerated by the population. Johnson suggests the challenge for the US is still to defeat the Taliban’s narrative as much as their military capacity on the battlefield. Analytical diversion – What is “effective” propaganda? I still struggle to understand what “effective” means where it comes to the use of propaganda. When I first wrote on the subject, in 2007, I think I made an early tactical mistake when I judged that the Taliban messaging techniques were “only partially effective”, citing their crude home-grown methods, the contradictions and lack of strategic reach. I spent the next few years realising that I didn’t know what “effective” actually meant. What is effective Taliban propaganda? How do you measure it? Are the Taliban effective at messaging because the Taliban still manage to convince people to fight for them? Or are they not so effective because they have not rallied the population to their banner – they have not achieved the popular jihad of the 1980s. The population, by most measures, do not support the Taliban and their interpretations of Islam. The international community have their own problems – I remember reading the open source bulletin board in the ISAF HQ in mid-2006. There was an account of early British “hearts and minds” operations in Helmand which involved showing a film of dolphins in the ocean to a gathering of gnarled village elders who didn’t even know what the ocean was, let alone recognise a dolphin. This aroused my curiosity – my limited studies suggested to me that the Taliban were not superhuman in this department and were regularly incoherent, uncoordinated and lacking in a strategy. The Taliban approach to bad news always seemed to be to denounce, deny or deflect. It seemed that westerners declared the Taliban “effective” primarily because the Taliban were able to say lots of things very quickly and on a variety of “modern” means. There was less attention applied to the content of the messaging. Fast forward to 2011 and another tour in the ISAF headquarters. One brainstorming group of analysts was gamely grappling with the narrative complexities of Afghan culture – what is the most effectively insulting way of describing the Taliban that would clearly resonate with the population? From fading memory, the word being mulled over was “wolves”. Junior officer: Sir, in village x, of y district we received reports yesterday that the Taliban had made two night letter drops. Senior officer: Ok, so what has our response been? Junior officer: Sir, within 24 hours we had performed our own ISAF leaflet drop, sent out two presence patrols and put out three local radio broadcasts covering the village area. Senior officer: Excellent, well done. Next slide please. Please don’t quote this, because this conversation absolutely didn’t happen this way – I have fudged and blurred it around to the point of being barely apocryphal. But this was the overall impression I came away with from the ISAF approach – it was about stats and numbers. Leaflets, plus a presence patrol plus a radio broadcast defeats a Taliban night letter. A lot of information operations “stuff” was being done, in the same way your work expands to fill the desk space available. If you cannot measure the Taliban’s messaging actions, content and methods, you cannot know how effective the Taliban’s messaging is. Therefore you do not know which types of Taliban messages you urgently need to counter, those messages you can ignore and those messages that you could even encourage. Even though I demonstrably struggle to understand the effectiveness of Taliban narratives, my sense is that the Taliban’s narratives may slowly become redundant unless they can evolve – the Afghan population are getting younger and have a wider understanding of the rest of the world – internet, smart phones, social media assist this. They have greater expectations about what a government could and should do for them. The Taliban’s language still seem stuck in war, resistance, total obedience and a crude “war economy” in districts that they can dominate. That may be fine to ensure an annual quota of uneducated, poor and unemployed Pushtun youths to come and fight for them. But at some point they need to evolve – perhaps opening their narratives to include reconstruction, the economy, unemployment, governance, popular consent. But evolution does not mean using a new social media system, it means deeper and broader, strategic and future-looking thinking. Perhaps we should be asking them other questions – political, social, economic, cultural – and compel them to come up with new narratives as they answer these questions. Johnson’s book is one of the most important reference works we have on the issue of the Taliban’s use of narrative. It is a crucial subject that is woefully understudied. It is not simply a review of the Taliban’s use of the internet, radio, social media and night letters. It takes in the Taliban’s employment of stories from Afghan history and critically pursues the understanding of the Taliban that we can gain through an exploration of the narratives they use and the impact it can have. The book will be crying out for a updated edition or two in a few years, as the Taliban – and the situation in Afghanistan – evolves. I had the slight sense, reading through, that the bulk of Johnson’s case studies of Taliban narratives peak at around 2008-2010 – he seems to offer fewer examples of Taliban propaganda and messaging after this period. I would like to hear more about how the Taliban confronted the NATO withdrawal narrative in the run-up to the December 2014 departure and afterwards. Amongst which, the implications that the battle was going to be more about “Muslim killing Muslim” in the future. How do the Taliban now approach the issue of leadership death/changeover from a media perspective? Any evidence that the Taliban are analysing how best to address peace talks in their narratives? Any lessons learnt from the summer 2018 3 day ceasefire – did this cause problems for the Taliban messaging machine? Is it fair to assert that both sides now have drifted into a rut of tired and unimaginative propaganda? The Taliban Twitter feed is routinely a list of people they have blown up. Are there any new initiatives and methods merging? Have the Taliban struggled to maintain the historic/cultural/poetry narrative front? It seems that the type of young Taliban fighter – and even mid-level commanders – now fighting may not have the same attachment to Afghan history as before. Following from the last question – night letters – how has this evolved? I recently (this year) read that the Taliban state that they do not really use them so much any more. Is it becoming less effective – overtaken by smart phones and social media? Summary: When is a country too dangerous to return to? Amnesty International called European countries to stop returning Afghan asylum seekers to a deteriorating security situation in Afghanistan. Amnesty International, 10 October 2018: Ahead of a week of action across Europe, Amnesty International calls on European governments to stop forcibly sending people to deadly conditions in Afghanistan. The recent dramatic increase in returns of Afghan asylum-seekers have put thousands of people at a real risk of serious human rights violations in contravention of the binding international legal principle of non-refoulement, which prohibits states from transferring anyone to a place where they are at real risk of serious human rights violations. Despite demonstrably deteriorating security and humanitarian situation in Afghanistan over the past two years and the record number of civilian casualties, European countries have stepped up the deportations of Afghan nationals arguing that areas of the country are “safe” – in stark contrast to the developments on the ground…The war in Afghanistan has affected lives in multiple ways. In addition to physical insecurity, Afghans have suffered socially, economically and psychologically. Without any prospect of peace on the horizon, Afghans are now at risk in every corner of the country. Public places, such as schools, hospitals, markets, sports grounds and clubs, mosques and even funeral ceremonies, have been targeted. The Taliban certainly seem to have upped their game this year and the security situation looks to have deteriorated since the NATO departure in December 2014. It remains difficult to define the point at which it is too dangerous to return failed asylum seekers – a highly sensitive political issue for most countries. European countries rely, theoretically at least, on something called Article 15(c), which is an EU Directive (DIRECTIVE 2011/95/EU OF THE EUROPEAN PARLIAMENT AND OF THE COUNCIL) that holds that people should not be returned to a country or an area of a country if the security situation is so dangerous that the act of simply returning there would put them at high risk of being affected by violence, irrespective of any specific threats that might have caused them to have fled in the first place. I assume that places like Afghanistan in the 1980s (Soviet invasion), Afghanistan during the 1990s (civil war), Iraq in the 2005- 2015 period and Syria from 2013 onwards would fit this type of definition. New York Times – and many other outlets – highlighting a concerned warning from the United Nations. “NYT, 27 September: The number of civilians killed by Afghan and American airstrikes is rising, the United Nations said Tuesday, as the Afghan government increasingly relies on airpower in its fight against a resurgent Taliban. UN Press release: In the first six months of the year, UNAMA documented 353 civilian casualties (149 deaths and 204 injured) from aerial attacks, a 52 per cent increase from the same period in 2017. It is of particular concern that women and children made up more than half of all aerial attack civilian casualties. The Mission attributed 52 per cent of all civilian casualties from aerial attacks to the Afghan Air Force, 45 per cent to international military forces, and the remaining three per cent to unidentified Pro-Government Forces. Around seven per cent of all civilian casualties in the Afghan conflict in the first half of the year were attributed to air operations. 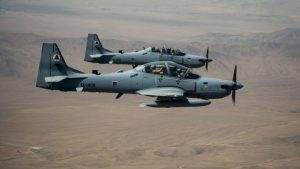 It seems a major cause is the Afghan army now being empowered with ground attack aircraft and using it more – but with less skill than the US. Summary. Little tangible optimism. The usual problems remain. The number of troops in Afghanistan is not as important as empowering Afghanistan’s economic potential. Peace talks about peace talks: I didn’t take much comfort that much was happening amid the flurries of rumour and denials that we have not already seen or got excited about before. Maybe there is cause for optimism this time (as was suggested). But I have yet to see anything. For my money, the Taliban have upped their military game a little bit this year and may feel that they can do even better. The Taliban are concerned about weakening themselves if they talk and/or strike a deal. There is no meaningful discussion about what peace means for the Taliban – peace can weaken the Taliban as different factions discuss and argue. PP hasn’t started yet – if it starts it will be quick. Ideological groups like FARC and the IRA took longer to reach peace. The Taliban are only united by war. The act of having negotiations makes it harder to maintain the resolve of the foot soldiers – the ceasefire in June showed that the Taliban soldiers rather enjoyed the peace – so denial of talks and “window-shopping” for talk locations (Russia?) is part of the “game”. Talks have been happening in some way since 2004. Peace process – planning is essential, peace “scenarios” is a good concept. Negotiation is a process – a changing of the relationship between the opponents. It is not “zero sum”. What will the strategic position of Afghanistan be after a peace agreement. What should the situation be in relation to US forces in Afghanistan?. The main Taliban demand is the complete withdrawal of foreign troops (but privately there are nuances to this). Afghanistan, as it is currently defined, has never been able to produce enough resources to fund its own state – partly because the British and Russians clipped it into a buffer state (Durand line etc). This deprived Afghanistan of its most productive territories. The state is even more dependent now on foreign support after a war of 40 years. Three main periods in this time frame: Soviet hegemony, no hegemony, attempted Pakistani hegemony, US hegemony. The 1990s saw state collapse. The 2001 US intervention was backed by international consensus and Pakistan isolated, leading to a few years of peace. This broke down in around 2005. Key issues – who will fund the Afghan government? Who will counter ISIS and others? The peace process does not have to consist of one meeting and agenda – could comprise of many groups and mediators: Afg govt, Taliban, political actors, ethnic groups. The possible permanent presence of the US forces is a concern to the entire continent – should be considered in a different forum. Peace talks tend to be an annual thing – but perhaps there is some real momentum this time? The Doha talks between the US and the Taliban as an “ice-breaker”. Are the Taliban ready to talk? They have some level of control in 40-50% of the country and are still committed to fighting. The Taliban military leadership faction may become talk “spoilers” if they see they are continuing to win. US CT ops rumble on – “groundhog day”. Concern over signs of fragmentation within the Afghan government – Hekmatyar’s concern was controversial, there are accusations that Ashraf Ghani is trying to increase the Pushtun element in government. Rivalry between Ghani and Dostum. Many coalitions and powerbrokers – hard to keep track. The Afghan government is removed from the population. Perhaps not even sure if the elections should go ahead? The Taliban know they cannot win in an election. – would it be so bad to skip the elections and have another “Bonn-type” agreement? But it does seem there is a positive shift towards talks – a second round is scheduled. The Taliban still call it an “occupation”. Signs of Taliban lack of unity. Supply/trade routes. What happened to the Northern Distribution Network. What is Pakistan closes the airspace? Need to think about the economic viability of Afghanistan – historically a “rentier” state. It is resource-rich but it needs an economic and trade infrastructure: Chabahar can be a part of this. The number of troops in Afghanistan is not as important as empowering Afghanistan’s economic potential. Some Pushtun tribes see the Taliban as vehicle or their own tribal interests. Perhaps two-thirds of the Taliban favour talks with the Taliban government – many of the local Taliban are not really fighting any more – not focussing on taking Ghazni or shifting from guerrilla to more conventional combat. Peace – may not be the official UN-preferred version – diverse interests have to be secured – likely to be a gap between official peace and reality: “someone with big pockets will have to come and take care of the Taliban”. Russia is perhaps the only country that can talk to all the regional actors. Inevitable heated exchange between Afg and Pak delegates over the extent to which the Taliban are proxies controlled by Pakistan. Rubin observed – there are no independent actors but also no puppets. Giustozzi – if the US was going to win the war militarily they would have done it earlier, when they had 110,000 troops back in 2011/12. But if the US pulls troops out, Afghanistan will only last a few weeks before collapsing – only US mil spt prevented the complete loss of Farah and Ghazni. Pakistani army – not a professional force, it stages coups, elects PM – Imran Khan is the “Mayor of Islamabad”, critical of Pakistan but Afghans should not put all the blame there. Everyone should work to hold Pakistan accountable, but there is a two part problem: Afghan policies do not help (eg policy on the Durand line). Afghans must also take responsibility – Afghanistan’s problems are both internal and external. Debate over who control s what part of the country – “control” of districts or what does “contested” mean? Running local government, taxes?? Rubin: 3 realities cannot be changed – Afg is landlocked and without much water, more or less the poorest country in the world (barring SSA), its neighbours do not change.